Saint Mother Marianne Cope grew up in West Utica and went on to devote the last 30 years of her life to the lepers of Hawaii's Molokai. Now her name embraces hospitality to those in need in her home town, with a soup kitchen at St. Joseph-St. Patrick Parish Center at Varick and Columbia streets, Utica, NY. 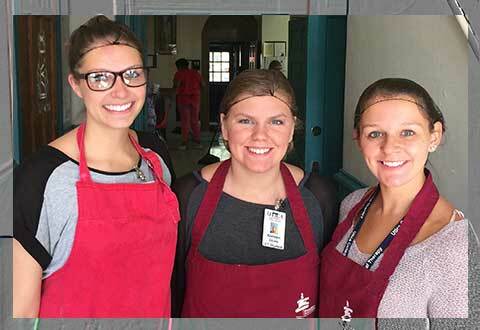 Called Mother Marianne's West Side Kitchen, the operation serves hot lunches from 11:30 to 12:30 Monday through Friday, and a bag lunch on Saturday and Sunday. in the Community Foundation's Community Choice Awards - ccawards.org. Donations NEEDED. Please give via ourGoFundMe campaign. Daytime prepping, serving, greeting and cleanup. An array of faces, and that's just the volunteers. SeeIn the Soup.